The results from BC are in! A Football Total, 2k row and decidedly difficult triplet separate the pack heading in to day 2. 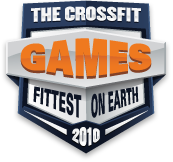 The following report comes from Jesse Bifano of CrossFit Squamish checks in with the following report. WODs, scoring, scaling details, and more. Jesse Bifano sends in the workouts and instructions for the BC Sectionals.